Thomas W. Muldoon, Esquire is a founding member of Counselors Title, LLC and a principal in the law firm of Pardo & Drazin, LLC (formerly Darby, Nalls, Smyth & Muldoon, LLC). As an active member of the local real estate community with membership in the D.C. Land Title Association, Tom specializes in residential and commercial real estate transactions and the resolution of contract issues. A graduate of Bowdoin College, Tom received his law degree from Catholic University in 1999. Before joining with his fellow members to start Counselors Title, Tom was the managing attorney for the Uptown Office of Universal Settlements. Tom lives in Bethesda with his wife and three children, and volunteers as a youth lacrosse coach for Montgomery County. 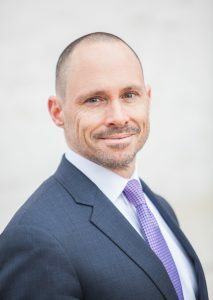 Tom is a member of the Maryland, DC and Massachusetts Bar Associations.